← Japan Blog Matsuri — Summer Lovin’! 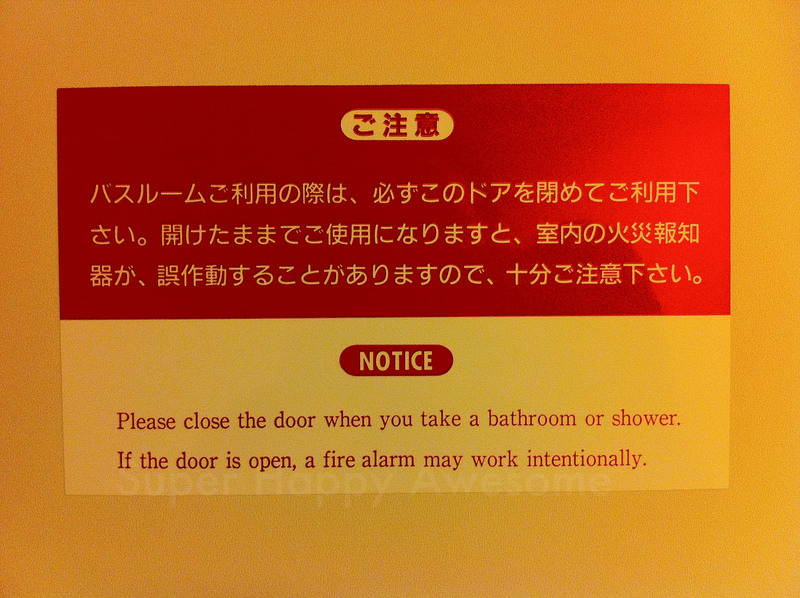 This entry was posted in Engrish and tagged bathroom, engrish, hotel. Bookmark the permalink. 6 Responses to Engrish of the Week! And we wouldn’t want the fire alarm working intentionally. Sometimes I like to take a bathroom just in case. You never know what might happen. It’s just good planning, really! I have to take a bathroom every day. I think it’s just natural, don’t you think? But of course! I take a bathroom multiple times a day, sometimes!